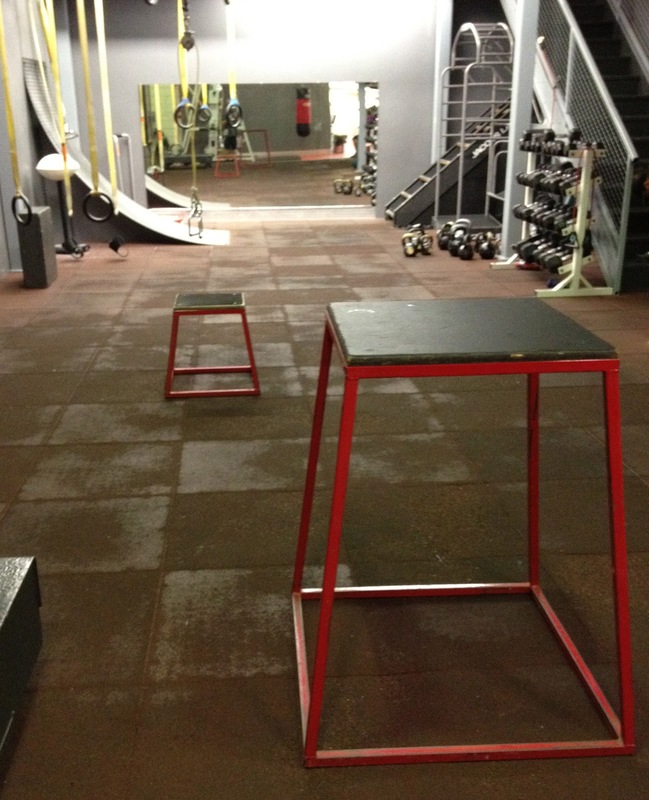 You’ll use a Box Jump (demo in video above) and single Leg Box Squat back-to-back (basic equipment needs shown in pic above). 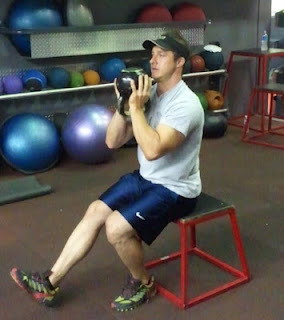 Begin with 6 box jumps immediately followed by 10 SL box squats (each leg) for 3 total sets. 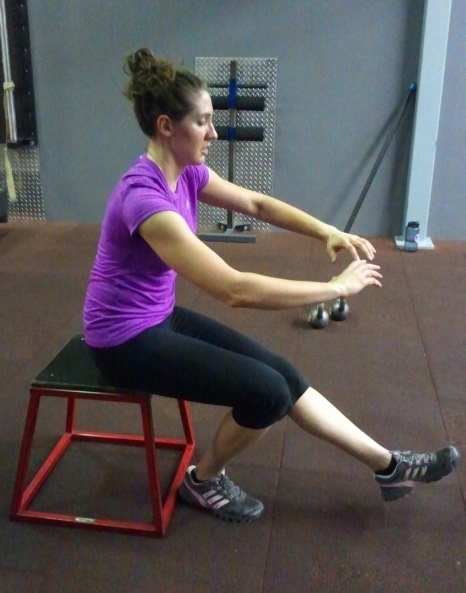 That should mimic the intensity and physical demands of making a quick couple runs out on the slopes. 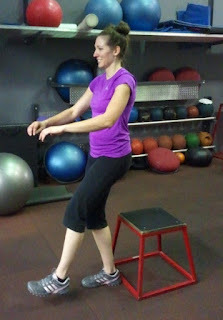 I’ve demonstrated these exercises at a fairly high level and I’d recommend starting the jumps with a box that’s much smaller and doing the SL box squats without weights. If you can’t complete 6 jumps and 10 box squats with each leg, try 3 jumps and 5 box squats (each leg) and gradually work your way up. As you progress, you can increase from 3 sets to 5. At that point progression will come from using a higher box for the jumps and/or adding weight to the SL box squats. 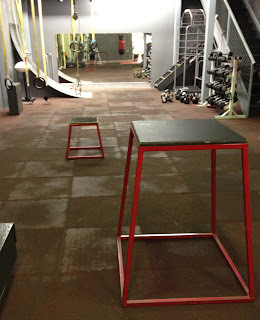 You can also opt for a weighted vest instead of increasing the height of the box for the jumps. Using this simple routine will help get you snow-ready for better on-the-slope performance this ski/snowboard season. 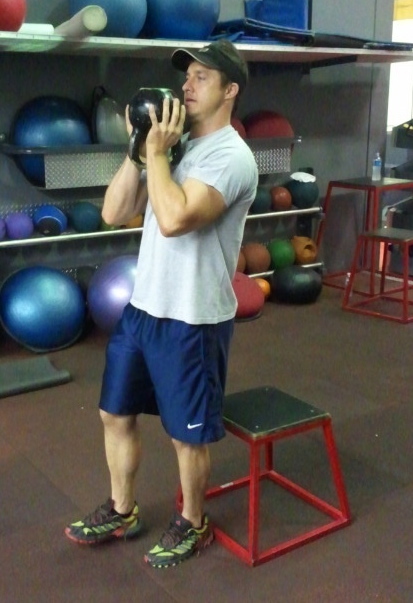 Lastly, big thanks to Anthony of Warriors Fitness for asking me to write an article for his training website (be sure to check it out here). Definitely contact him for all you boxing, MMA and kickboxing fitness needs!